Land Rover’s iconic Defender has been in production for an astonishing 66 years. In that time, it’s served in the British and United States military, various police forces, and has surely helped countless would-be explorers find the ‘Xs’ on their maps. It even helped Lara Croft find an amulet or something in 2001’s Tomb Raider. Despite its loyal service, the legendary off-roader has slowly become obsolete, as changes in safety regulations have prevented the Defender from being sold in the United States since the late 1990s. The American market has made do with the LR2 Freelander and LR4 Discovery since that time, but with European regulations mirroring the United States’ come 2015, a Defender replacement is a foregone conclusion. Autocar is reporting that Land Rover has made the first step toward a Defender successor, finalizing the design of the all-new off-roader. Contrary to previous dispatches, it won’t look like the DC100 and DC100 Sport Concepts that premiered in 2011, though. Apparently, the company now views the DC100’s look as “a little too generic,” and is focusing on returning to the simple, bold, and venturesome character of the original Defenders. That probably means a new, pre-production concept is under way, so expect more details to trickle in about the Defender’s successor in the coming months. Land Rover’s oldest model could also ride on an all-new platform, one that emphasizes durability yet it still able to reach the British automaker’s goal of 50,000 annual sales to ensure sustainable production. 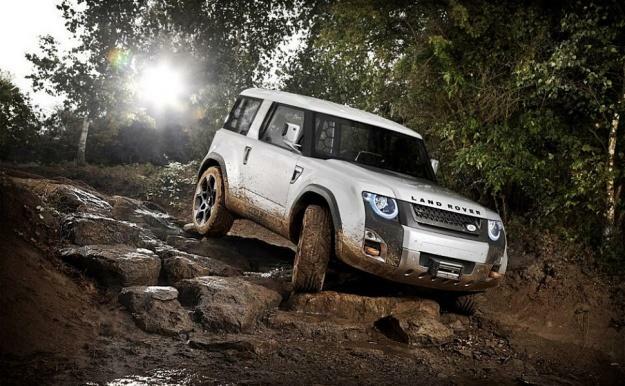 Clearly, the new 4×4 is still in its beginning stages, and many challenges lay ahead. Like it has proven continuously over its 66-year history, though, the Defender is up to the task.